Former Trump attorney Michael Cohen was sentenced to 36 months in prison for lying to Congress and other charges related to his taxi medallion company in December and will report to prison on May 6th. 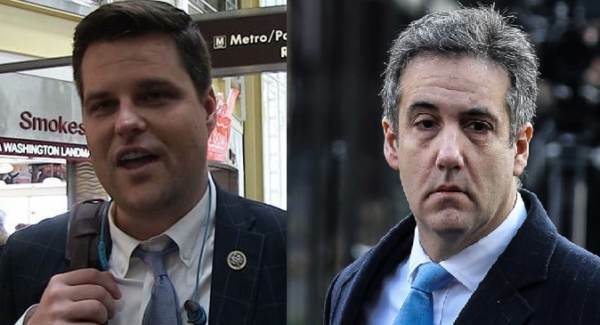 Today Cohen was called in to testify before a House Committee despite having a record of lying to Congress. 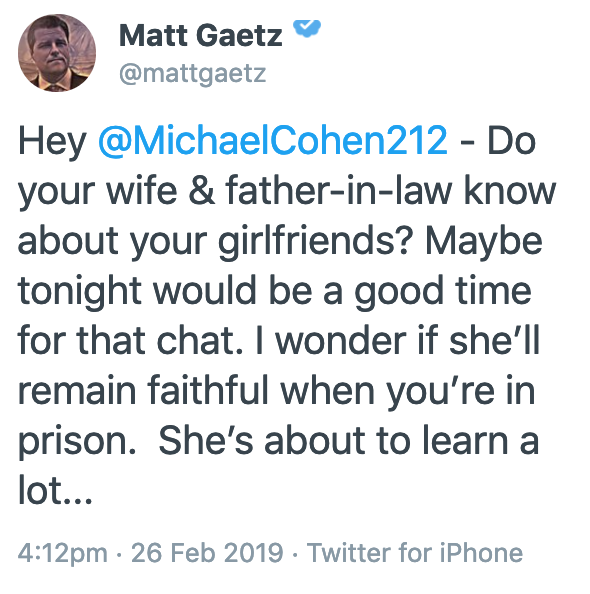 On Tuesday afternoon Rep. Matt Gaetz tweeted out a threat to Cohen before his testimony.